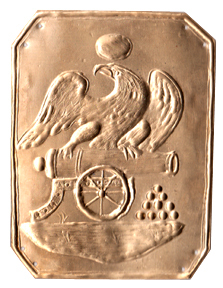 Eagle "R of Breast" button. Button has "antique" gold finish. Limited availability.